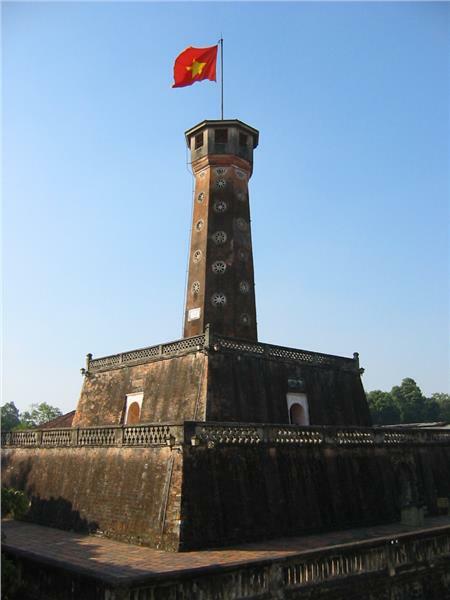 Built under King Gia Long on the southern portion of Imperial Citadel of Thang Long, Hanoi Flag Tower is now situated on Dien Bien Phu Street, Ba Dinh District, Hanoi city. This is the benchmark marking the beginning at the southern region of the imperial citadel. 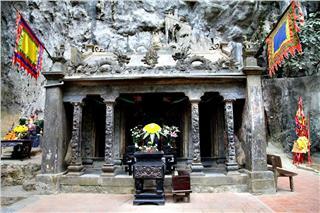 The architectural works is also built at the same period of Hanoi Citadel (1802-1820). It began its construction in 1805 and completed in 1812 by architect Dang Cong Chat under the design approved by Emperor Gia Long. 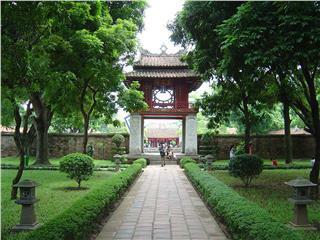 Over time, Hanoi Flag Tower has become one of solemn symbols of the capital, one of the unique tourist attractions in Hanoi alluring tourists. The flag tower is built in the shape of the cylinder blocks stacked with each other which becomes gradually smaller from the bottom creating elegant and strong vertical contours. 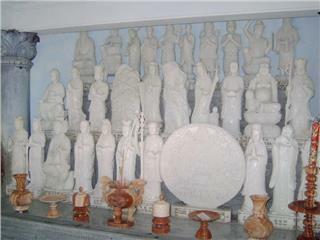 In the center of the pedestal is scape and gazebo. The three-storey pedestal is made of brick under frustum shape and decorated with suitable simple patterns creating particular beauty. 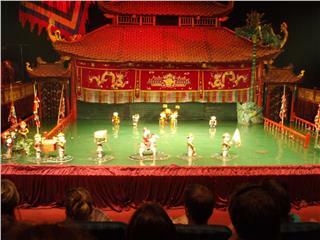 The unique details also contribute to bring the flag tower become one of the impressive Hanoi attractions attracting the large number of domestic and international tourists. 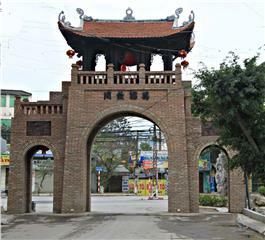 The first platform of the flagpole with 42,5m long of each dimension and 3,1m high was built of brick, one kind of traditional materials of Vietnamese people surviving for hundreds of years. 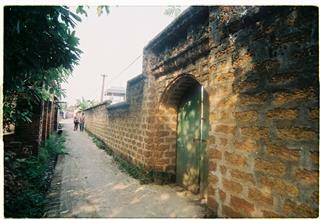 It is home to 2 brick-made stairs to go to the second floor. 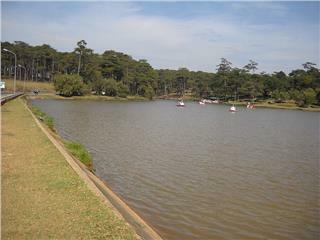 The second floor retains 27m length of each dimension, 3.7m high with 4 doors towards four directions. 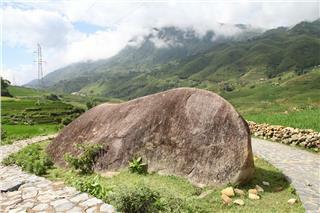 Its building material is the brick as well. The third floor with 13m length, 5.1 m high also consists of 4 doors overlooking 4 directions, namely east, west, south, north, three of which (except the north) own unique names. 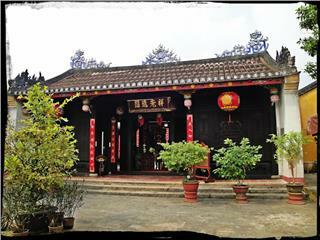 The eastern door is the presence of "Nghenh Huc" meaning "Welcoming the morning sunshine"; the west one is "Hoi Quang" in the sense of "The reflected light"; whereas, the south one is "Huong Minh" which means "Towards the light". All were written in kanji. The north entrance offers 2 staircases to go up the 3rd floor's terrace, each of which includes 14 steps with 2 iron-made railings in both sides. The terrace houses wooden handrails along with the system of floral patterned wall making the serene and harmony of whole architecture. 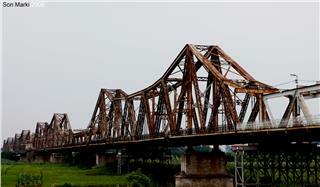 Discovering Hanoi Flag Tower is definitely one of the most unforgettable things to do in Hanoi. The body of the 12.8m flag tower is the 8-edged cylinder tapering from bottom to top, each bottom edge of which retains 2m wide. Inside the flag tower is a spiral staircase with 54 steps leading to the top. Walls of the flagpole is illuminated thanks to the unique lighting system placed along the sides of the tower. This type of architecture is extremely scientific, which both get natural light and is air-conditioning system right in the body of the flag tower. 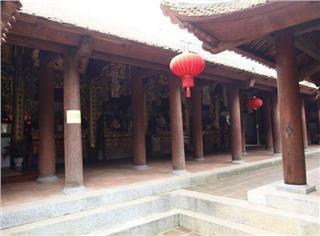 In particular, top of the flag tower is composed into an octagonal floor with 3.3 m high and 8 doors toward 8 directions which is enough for 5-6 people contemplating together at the same time. 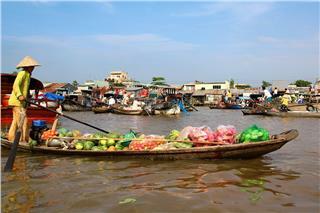 The unique architecture makes the journey of discovering Hanoi travel much more interesting and fascinating alluring the large number of tourists. The flag tower not only witnesses the struggles of soldiers protecting the capital but also records the heroic history of national revolution. The success of August Revolution was successful is the first time the red flag with yellow star had pulled up to the top of flag tower. Years of American resistance, Hanoi Flag Tower was used as observatory by Vietnamese soldiers, which played the important contribution to create historic victory of 12 days and nights "Hanoi - Dien Bien Phu in the air" in 1972. In particular, on 30th April 1975 the red flag with yellow star flying in the joy of the whole nation and reunification opening a new era for the development of Vietnam nation. 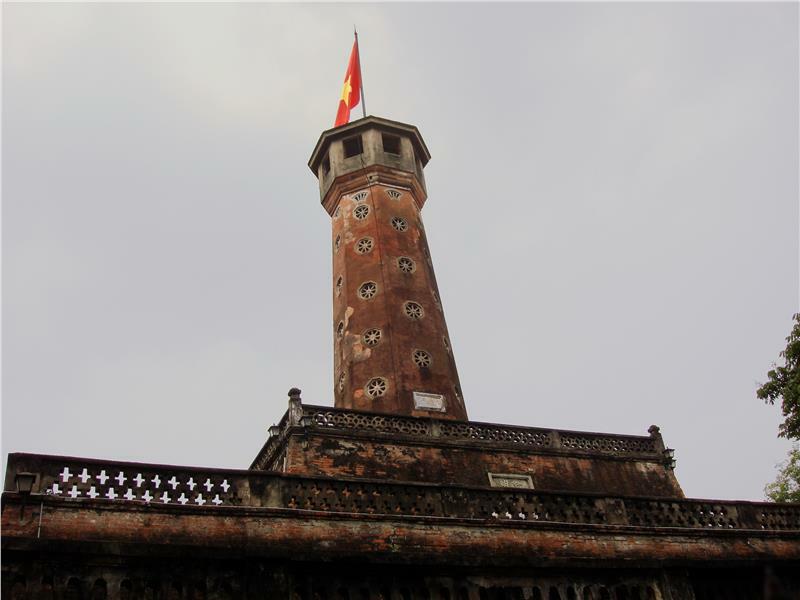 The historic feats has brought Hanoi Flag Tower to become a heroic symbol of the capital thousand years of civilization, which creates one of the impressive tourist sites in Hanoi tour. 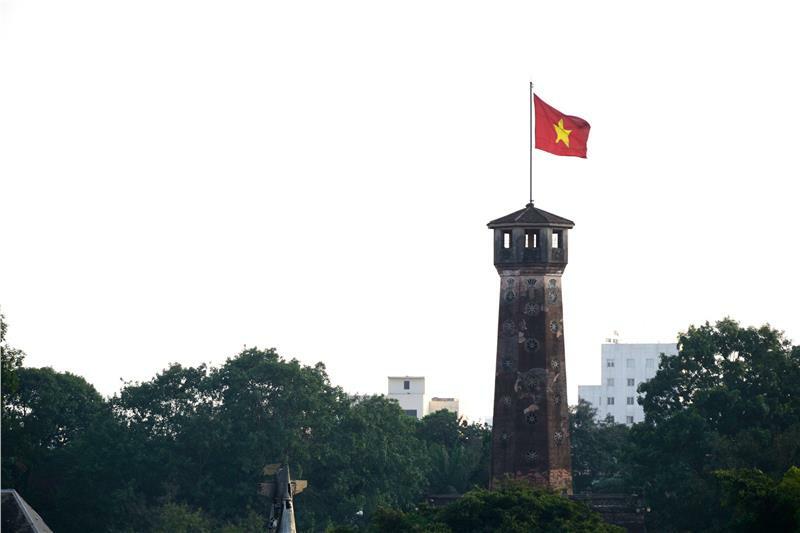 Nearly two centuries since it was built, Hanoi Flag Tower has proudly stood to witness ups and downs of the capital and the country as well. 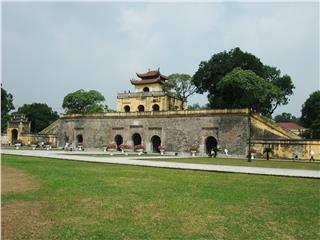 Hanoi Flag Tower today has become an indispensable tourist attractions in the complex of Imperial Citadel of Thang Long. The image of flag tower is sampled on many posters, stamps or bookjackets... and strongly impresses in the heart of each Vietnamese people. 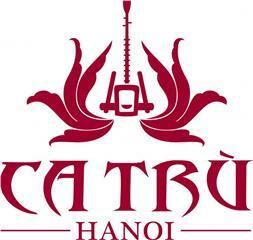 Hanoi Flag Tower thus displays its significant contributions in promoting the image of Hanoi tourism closer to tourists both at home and abroad.